This horse racing spectacle takes place next on the 4th – 6th April 2019. 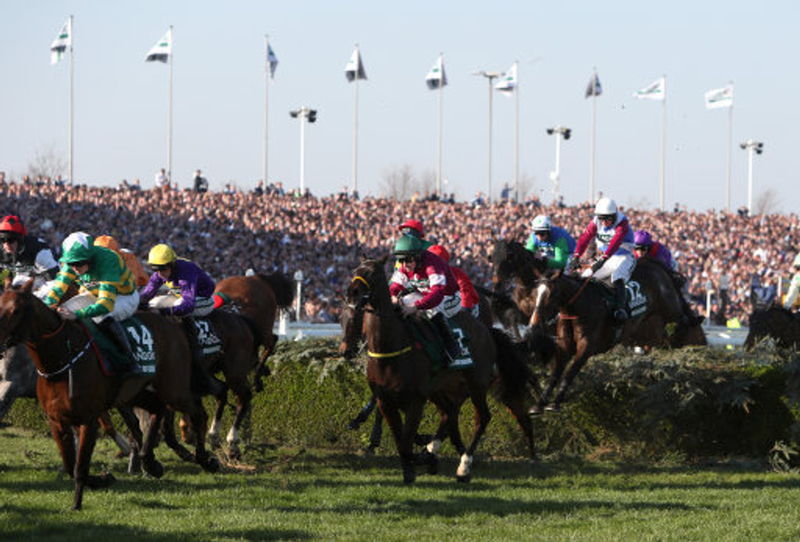 The first Grand National Event ran in February 1839 and consisted of 2 laps over a handicap steeplechase totalling 4 miles or 514 yards, with a total of 30 fences to jump. Winning the first Grand National was a horse by the name of Lottery, the fences across the course back then were made of stone and part of the course was made up of land that had been freshly ploughed. Lottery ran across the finish line at an almost respectable 5/1 favourite. The Grand National has seen some great runners over the decades, one of the most successful and famous is Red Rum. Red Rum recorded three victories placing him within the record books. The race has made some historical figures a lot of cash too. One worthy of note, is a man by the name of Edward Studd. Back in 1866, Edward placed a £1000 bet on a 40/1 horse named Salamander. The £40,000 winnings would equate to around £3 million in today’s world of money. In lesser historical times Joe ‘Mincemeat’ Griffin walked away with £100,000 in prize winnings after placing a good sum on Early Mist, a tip given to him by Vincent O’Brien. Some of the best outsiders that have come in at the National include several 100/1’s - Mon Mome in 2009, and just a handful of others that date back to the 1920’s. Sorry, no tips are available today! Same rules apply when placing a bet at The Grand National, in terms of places (win or each way). Just like on a usual Aintree race day, you’ll find the same opportunities to get your bets on at The Grand National too. Totepools are located throughout the course, bookmakers occupy the betting ring and Aintree homes a racecourse betting shop too. So, you don’t have to miss out on any other races occurring on the same day. So, don’t miss out on a bet for The National and who knows! You too may become one of the lucky punters who was scooped a small fortune over the years. Like when Mike Futter, from Blackpool, reportedly scooped over £1 million back in 2003. It’s been reported Mike and his co-owners placed numerous bets; £5,000 each-way bets at 33-1 and several at £10,000 each-way at 20-1. If you’re not fortunate enough to be able to spread several bets across The National, like Mike was. Then don’t forget about the 100-1 shots. Mon Mome’s 2009 victory got a few lucky punters substantial winnings at these great odds. The Grand National is truly a great horse racing event that has tipsters and odds playing out in the lead with dramatic effect. WHAT TIME DOES THE GRAND NATIONAL START? Start times have varied in recent years, so do check back. Last year’s Grand National, 2018, started at 5.15pm. It is attempting to remain at a consistent 5 pm start but this is dependent on TV audiences more than anything. If with over 40 countries tuning it’s the local audience who is moving away to other sports, hence the start time for The National remaining dynamic. The 2017 Grand National had a prize fund of £1 million, making it one of Europe’s most valuable horse race events. WHERE DOES THE GRAND NATIONAL TAKE PLACE? The Grand National takes place at Aintree Race Course. Check out our Aintree Race Course page for location details, just follow the link. Each day there’ll be 7 races, consisting of novice hurdles and chases. Closer to the event we’ll have the full rundown, along with tips and odds for each day. Day 1, 4th April: Grand National Thursday; A day for champions, a unique day of high-class horse racing across a course designed for the best jump racing in the country. The day offers two G1 races and two G1 races for novices. Day 2, 5th April: Ladies Day; Along with top-class racing, competition stakes are raised by the fashionistas on the racing circuit. There’ll be an award for the most stylish and racing features include The Melling Steeple Chase, The Topham Steeple Chase and the Sefton Novices’ Hurdle. Day 3, 6th April: Expect a full day of hurdle and chase racing preceding the major Grand National race, this usually starts at 5.15pm, though can be TV dependent. This is arguably one of the most popular horse racing events of the year, with huge worldwide exposure. Each day is packed with racing action with bets coming in from across the globe.